Do Space removes the limits to what you can accomplish. 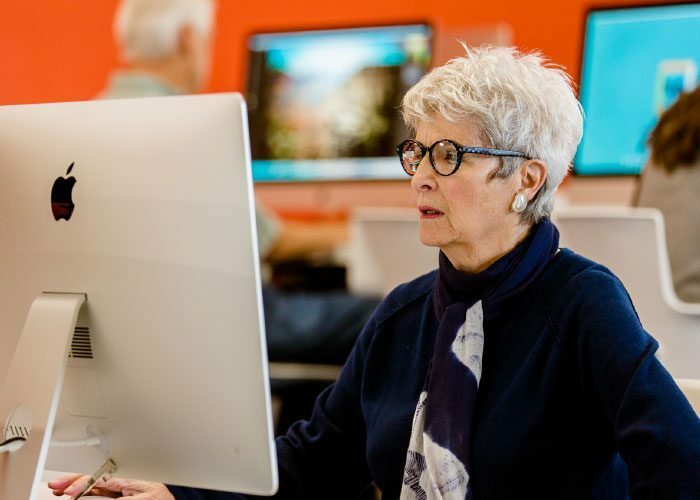 Enroll in a computer class to develop technology skills for a new job, work on a creative project using design software, prototype a product in our 3D printing lab, or even build a website. You can get the skills and learn the software you need to move your life in a new direction. The best part? It is totally free. Check out the Computer Lab. Our 50+ Macs and PCs are at your service! They are loaded with software from Word to Photoshop, all connected to the Internet with our gigabit bandwidth. Stop by the Tech Help Desk to borrow a laptop or a tech activity kit while you are in the building. Need help with printing? Ask a staff member or volunteer–you can find us by looking for our colored lanyards. 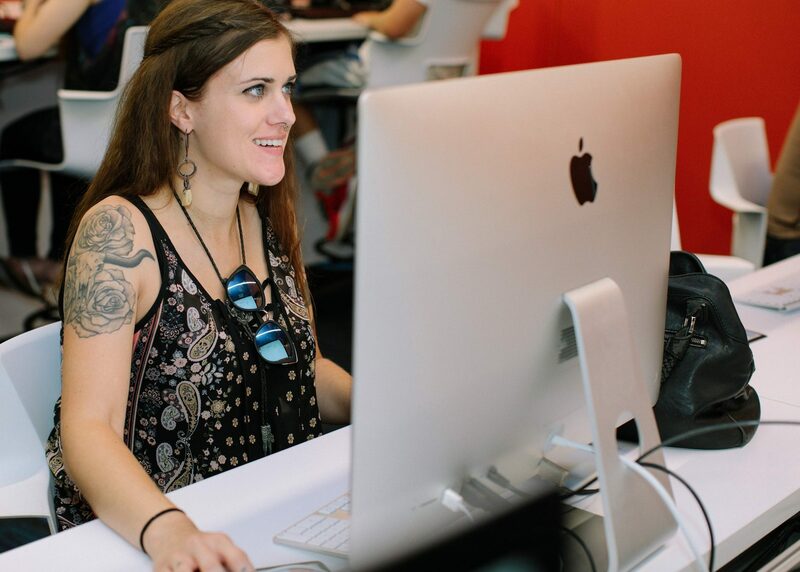 With the ability to code, you can build a website, develop apps, and unlock a world of job opportunities. And it is easier than you think–we have classes to show you how. 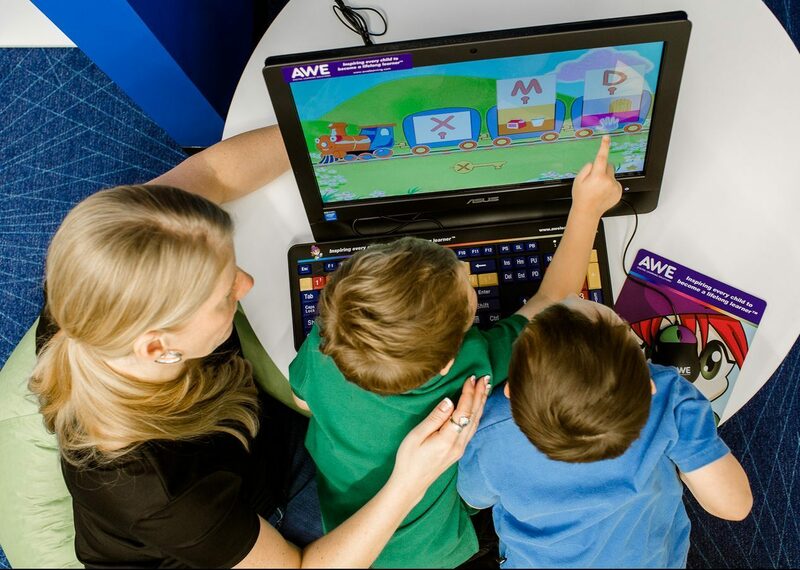 Use the Active Learning Lab as a base for after-school tech exploration or personal study. Play with educational video games too! Staying competitive means being a lifelong learner. Do Space gives you the advantage by giving you a place to job search, update your resume, and learn new skills for a career change. 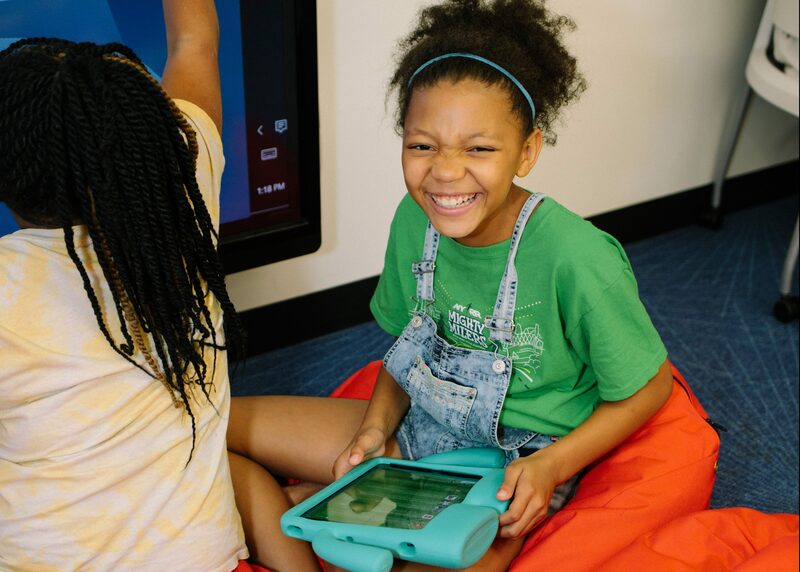 Bring the kids to Littles Lab for productive fun with tech for tiny fingers. Toddlers and kids can program robots, read an interactive story or use apps on the touchscreen computers. Three-dimensional printing turns digital projects into actual objects. The 3D Lab also includes a laser cutter and vinyl cutter which can take your hobby to the next level. Going from idea to launch takes time, tools, and a space to make it happen. You and your team can make Do Space your home as your new business takes shape. 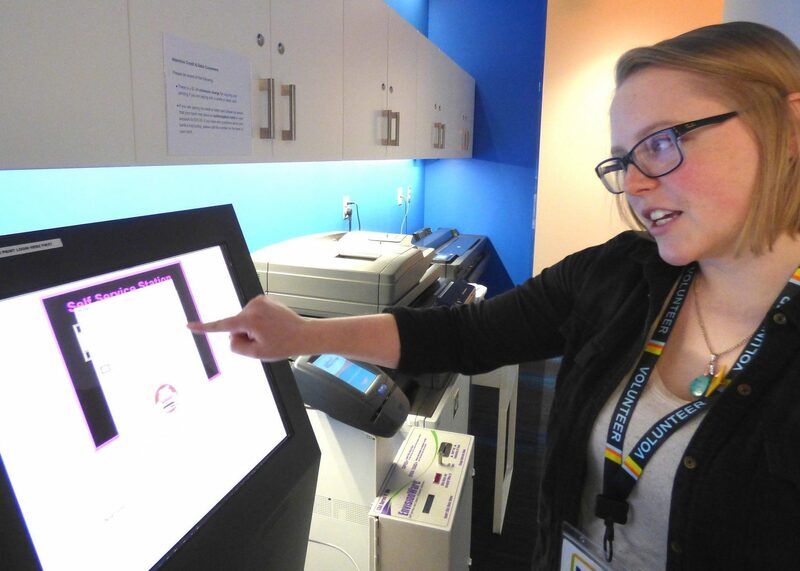 Print in standard or large-format size at the Print Station behind the Tech Help Desk for a nominal fee. Use your member number and cash/credit directly through the kiosk. 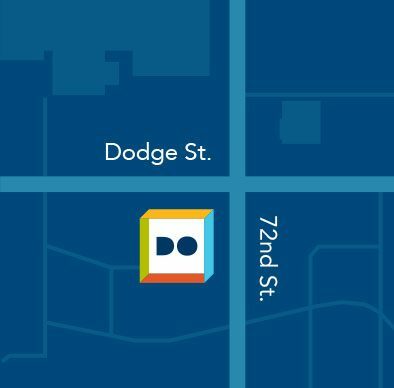 Can I learn how to use a computer at Do Space? Yes, absolutely! At Do Space, we believe in empowering people to learn. 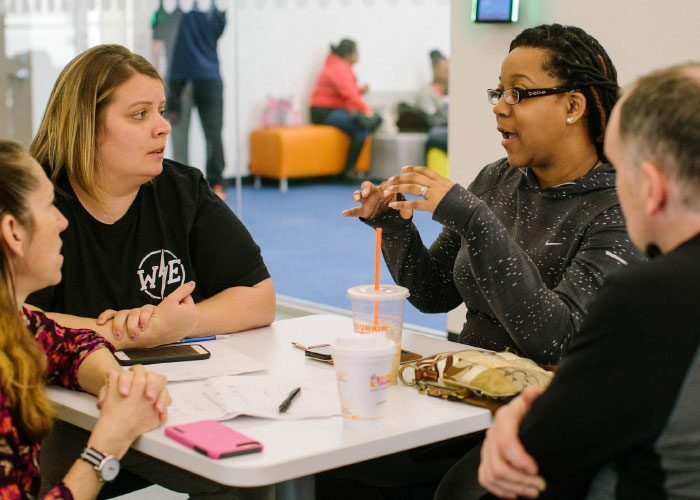 We offer classes to help you get started, as well as one-hour mentor sessions, in addition to a variety of online digital resources. In order to take advantage of all the opportunities with technology, we encourage our members to be willing to learn and experiment on your own, but our staff is available to answer questions as you learn. Can someone at Do Space fix my computer? Do Space does not provide technology repair services. Our staff and volunteers will not make adjustments or changes to any personal devices. At Do Space, we empower people to use technology on their own. Can I get help using equipment in the 3D Lab? We offer classes on specific subjects related to 3D printing that you can sign up for in advance. 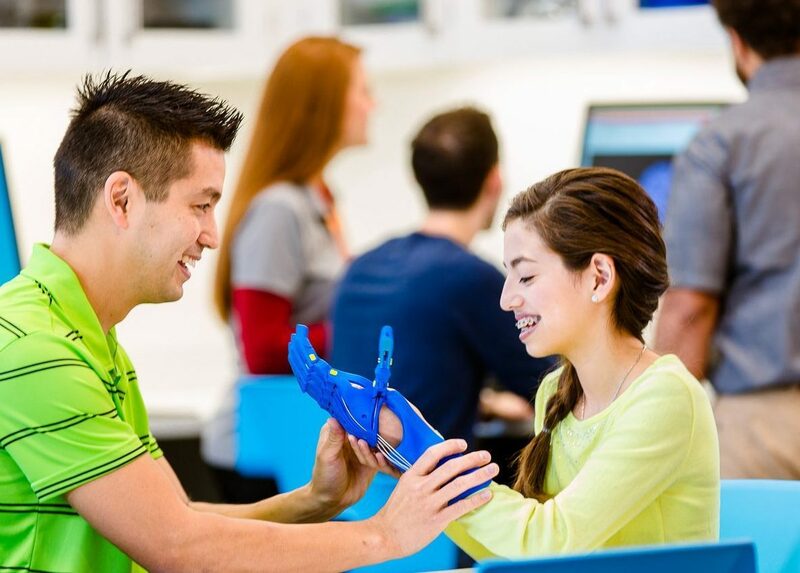 At times, we have volunteers and staff who can answer general questions about the 3D printing process, though that largely depends on how busy the space is at the time. In general, it is best to sign up for a class first and then come in to experiment and learn on your own. We offer standard and large-format printing as well as 3D printing. Details on printing can be found here. There’s no limit to what you can do once you understand technology, all you need to do is get started. From becoming a member to your first visit to Do Space, learn everything you need to know to get future-ready with us.